As I start this post, I am in two minds. For me, Ramadan is a month of introspection – about my life, about my discipline, about my relationship with the Almighty… I am not bothered too much about the food. Last year, I had done a post on Suhoor and Iftar. I usually never load my fridge or freezer with frozen snacks. My grocery list stays very much the same, except for going a bit heavier on fruits, since we gorge on them quite a lot, when compared to the other months of the year. But being a food blogger, I can’t ignore the requests that come to make a series of recipes at one place. I surely understand – we would like to be more ready with our choice of food so that we don’t spend time thinking too much on those lines. I still know of households where food plays a major role on the tables. Alhamdulillah, I have a family who loves simple food, so most of the time, I don’t end up doing very elaborate preparations. But that’s not the case with all. So today, we focus on what appears on our tables as soon as the Maghrib azaan is announced. I usually have a big platter of fruits on the table, of whatever is available. The eatables are usually done after our Maghrib prayer, over a cup of hot chai. The all-time favorites have to always be deep fried goodies. So let’s review them first! Egg Pakoda – a personal favorite! Ulli Vada – family favorite! Chicken Samosas – all from scratch! Baked and steamed – frying is not necessarily healthy, so why not try some considerably health friendly options? 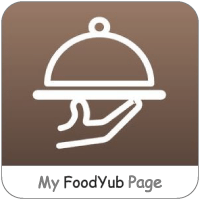 Athishaya Pathiri – must try! Simple sandwiches and rolls – sometimes you just need them in two pieces of carbs! To make the party merrier, I invited a few of my fellow bloggers to come along with a dish from their blogs, so that my lovely readers can have more ideas! Madelon came along with her Cheese Taco Shells with Veggie Filling – with the health world going ga-ga over low carb diets, this is a very good option and a delicious one too! Femina’s take on Chicken Cutlets – cutlets are universally accepted and relished! Lubna’s Dahi Bhalla – this is one cooling snack for a hot fasting day for sure! Henna has bought with her Chicken Tikka Box Patties – sounds so delicious! Lail’s very interesting tart shells filled with hummus and koftas is a beautiful idea for an Iftar get-together. Zareena has made it healthier for all of you with her Palak Paneer Samosas. Shazia makes making puffs a little more easier with her Mince Puff Tarts. If you are in a mood for some traditional Malabar snack, then do try Fajee’s Chemeen Undaputtu. Shanaz comes along with her droolworthy Shish Tawuk Rolls, for that Arab touch. Huma’s Maaqouda is a very interesting Algerian version of our own aloo tikkis. Maria’s Afghani Bolani recipe is complete with three different fillings! Staying true to the country she resides in, Fami brings along some Saudi Samosas! These Egg and Cheese Breakfast Rolls by Nadira deserve to be tried at least once. Sounds amazing! Asheera’s Murg Ke Phool is a steamed snack, which looks really pretty. Do check out Asiya’s Punjabi Samosas, that are an all time favorite. These Spicy Chicken Rolls from Sadia look like an amazing and healthy baked treat! Finally, Shabna comes along with Mutta Chutney Kebab which is a Malabar favorite! MashaAllah, this list will come in handy when I run out of ideas on what to cook! I am lost.. I don’t know where to start .. that is a big list. I will sure be trying atleast a few, very soon. This is a great list of snacks for Ramadan! Jazak’Allah khayr for sharing! What a wonderful compilation! I’ll definitely be coming back! Mashallah, so much choice. I know where I will be coming for my recipe ideas this Ramadan. Thanks for taking the time to share with us. Great list, I will have to check out the links! We mostly eat soup and fruit salad for iftar as snacks! Thanks for sharing this. Our family also does little and simple for the iftar and suhoor Alhamdulillah but ideas are always welcome. There are many new recipes for me in this list….will be coming back again to pick some to try this Ramadan…thank you for making my job easy by penning down all in a page….and also for including my recipe in this delicious list….